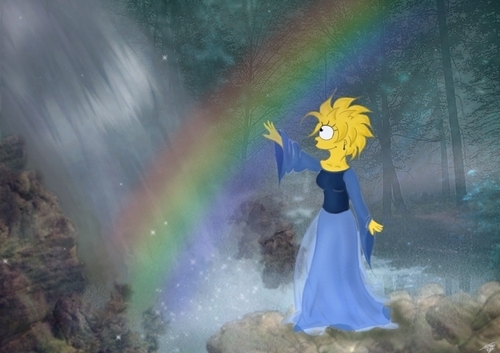 Lisa Beautiful Image. . HD Wallpaper and background images in the Lisa Simpson club. That is so magical a rainbow next to the shimmering waterfall, with a pretty girl next to it.